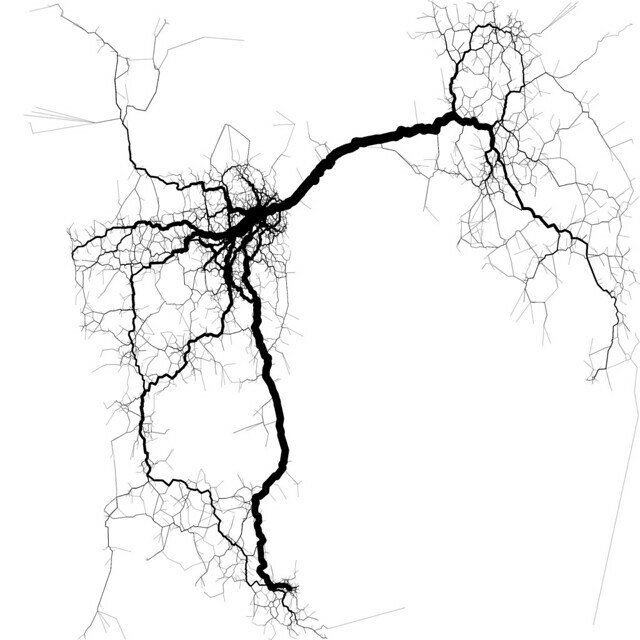 Local techno/transit geek Eric Fischer wrote a program to approximate travel routes from geotagged Twitter posts, revealing the desire lines of area. Looks like he forgot Marin is there, but apparently we don’t have a whole lot of Twits to track anyway. The BART extension to Livermore is giving voice to an existential question facing the system: should it expand ever outward, or should it keep what it already has? Mountain View rejected bus rapid transit because it would have taken up left-turn lanes. This is a step back for the city’s efforts to put moving people, not cars, first.